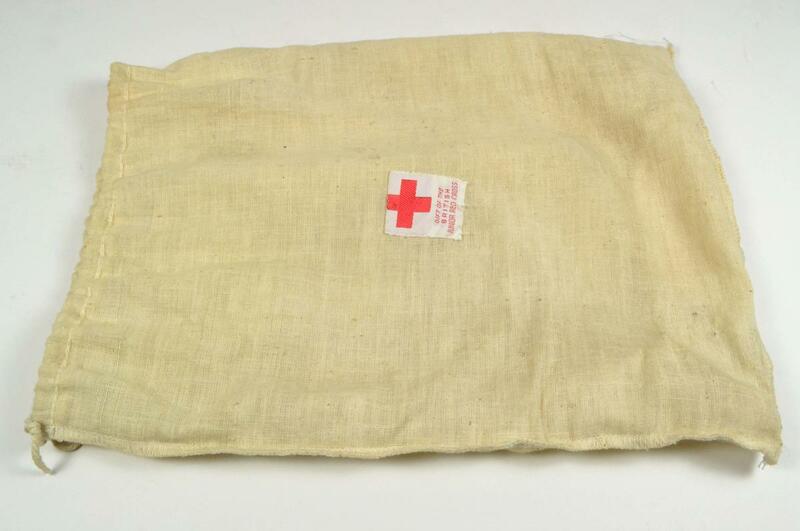 Fabric drawstring bag with sewn on label with the Red Cross emblem and 'Gift of the British Junior Red Cross' . The bag contains a soap bar in a box, flannel, wash bag, comb, two handkerchiefs, teaspoon, cup, note book, pencil, yo-yo, ball and string. The bag was created around 1974 by Jo Castleton when she was a member of the 6th Addiscombe Junior Red Cross Pack, based near Croydon.